The Iron Ridge Project is located approximately 600 km north-northeast of Perth and approximately 67 km northeast of the township of Cue in the Murchison region of Western Australia. Access is via the Great Northern Highway to Cue, then along semi-sealed roads to Glen Station, then along approximately 10 km of unsealed tracks from Glen Station to the Project. 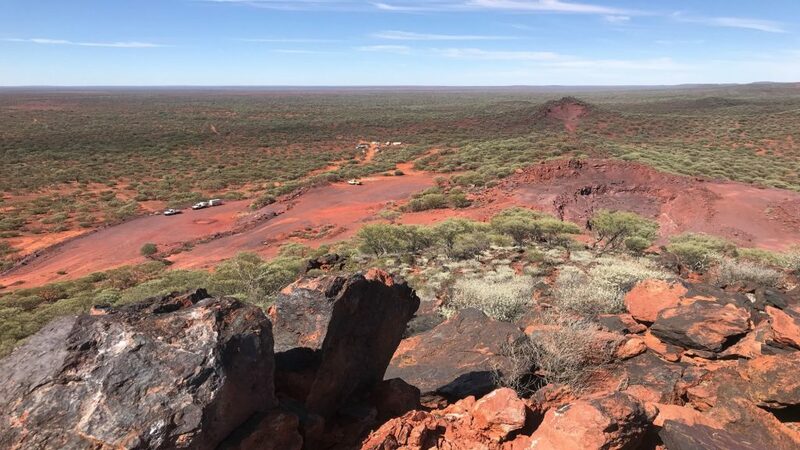 As part of preparation of a feasibility study in relation to the Iron Ridge project, the Company will evaluate contract mining and trucking to minimise upfront capital requirements. The Project is a greenfield development and therefore requires all infrastructure, equipment, power, water, communications and other services to be established. The nearest port is Geraldton, located approximately 350 km to the southwest.